Today Mr Murfin took me to a local Inn for the brunch extravaganza. 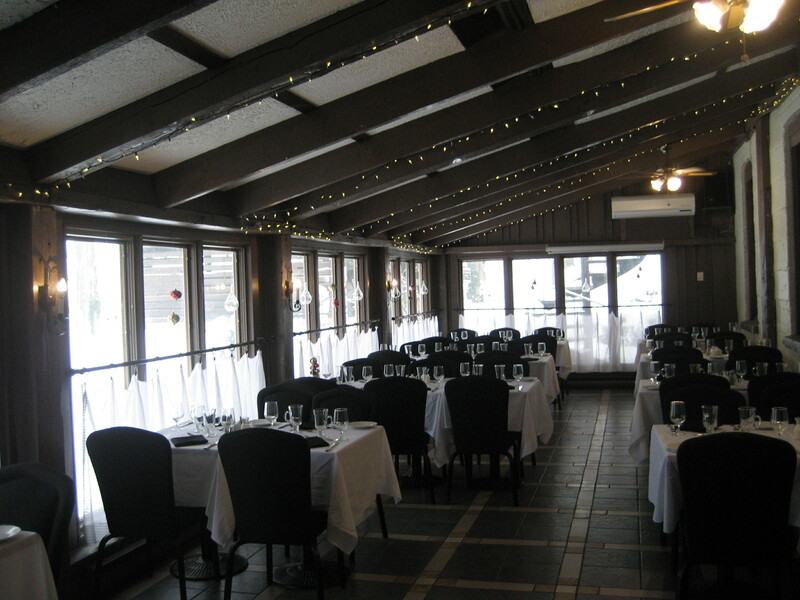 The Benmiller Inn is only 5 minutes from Hedgehog Hill and is the sort of quaint cozy place you might expect to find in Stars Hollow. The door above leads into a stone floored lobby and bar area. 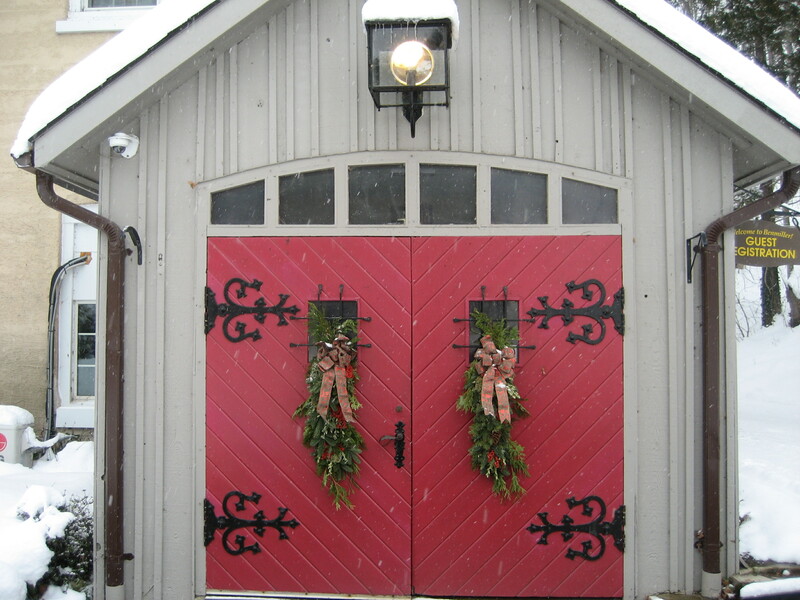 It is a bit dark so I didn’t take any pictures but imagine rustic charm and big beams. The drive there was a bit snowy as we are on day 3 of snow. It is likely to continue over night into Monday (when you will be reading this) I don’t mind the snow as long as I am warm and cozy. 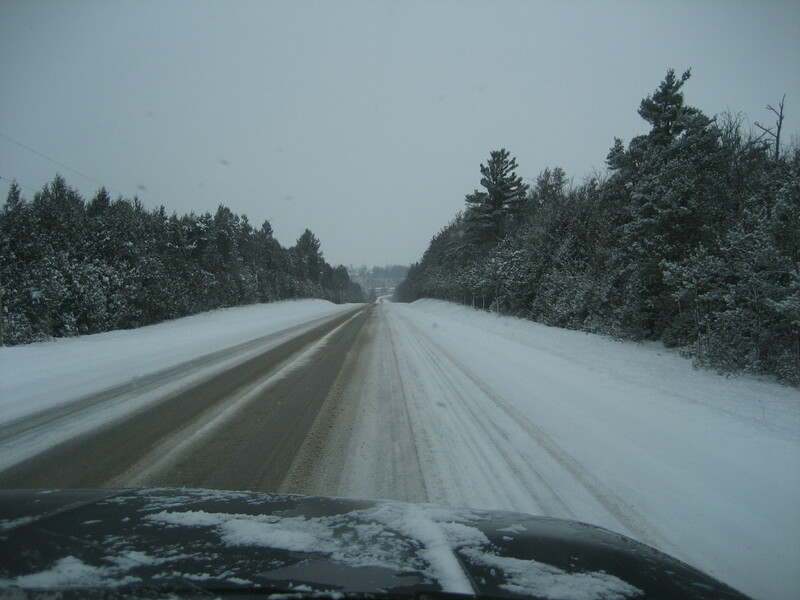 We did drive our big old truck because it has 4 wheel drive and you know Canada…. 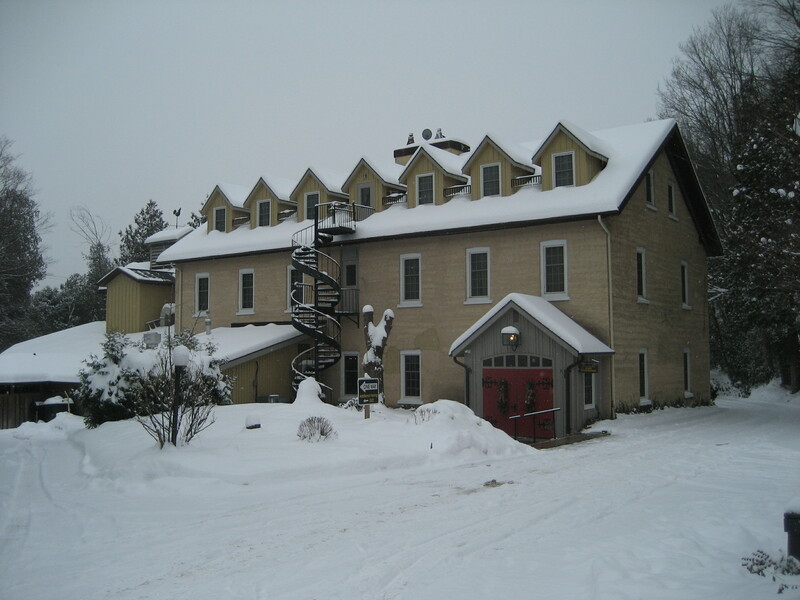 It was the parking lot that was the most treacherous The inn is a converted woolen mill originally built about 1877. For generations it produced woolen “basket weave” blankets and was powered by the waters of Sharpe’s Creek. 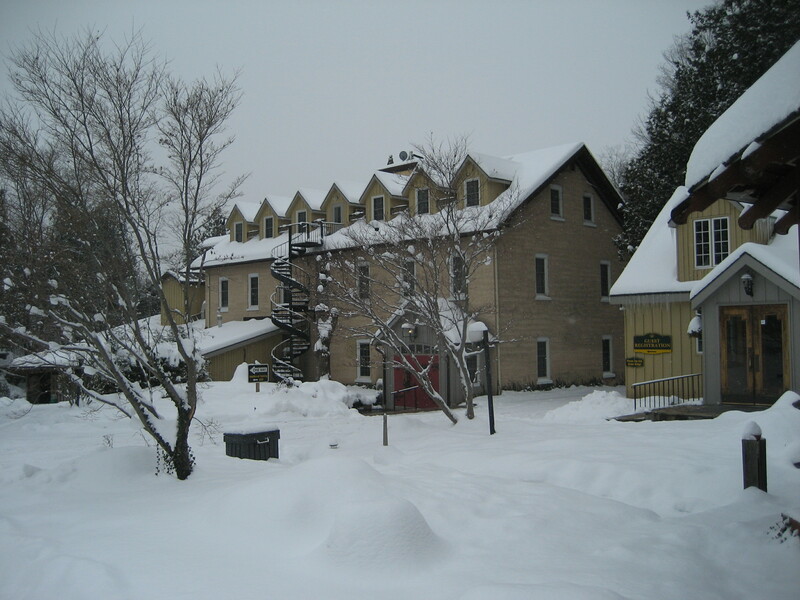 It was purchased and renovated in the early 1970s into the Inn, spa and dining place it is now. Although much changed from it’s hey-day the building in the centre of the picture was once the original mill. The structure to the left side was added for dining rooms. Other out buildings have been built over the years. The whole complex spreads over the tiny village of Benmiller and includes many other converted buildings and houses. It was once bustling village with much small independent industry but sadly like so many little towns not much of that remains. 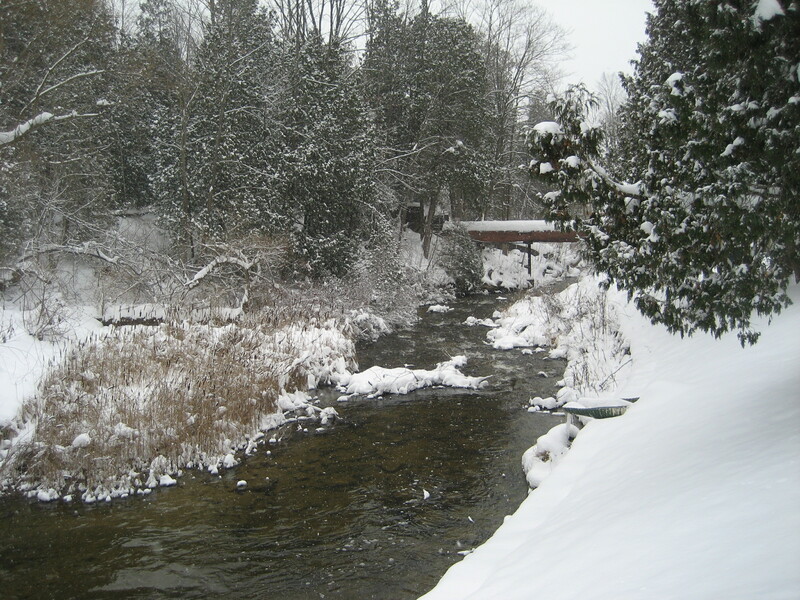 It is naturally beautiful nestled in between Sharpes Creek and the Maitland River. In 2011 a F3 tornado tore through this area and many of the old growth trees were leveled as if a giant hand had just pushed them over. Luckily the building did not recieve any major damage and the landscape is recovering. It looks beautiful in all seasons, but I love the snow. I did not take a lot of pictures inside. 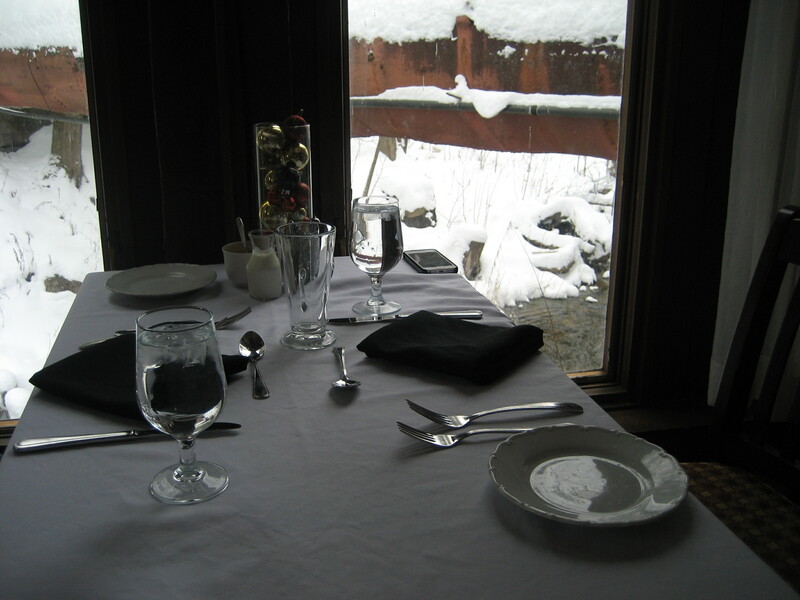 we were shown to a lovely table right next to window directly over Sharpe’s Creek. The food is plentiful and it is impossible to leave without feeling like you may never eat again. This is another dining room that was not being used today but I love the lights on the beams. Lovely in the summers as there are gardens out the windows. So lovely, and I had a wonderful time. It is now 12 days until Christmas. I have so much to do and every year I start to panic about now. But it will all get done, I don’t expect perfection I take a deep breath and focus on enjoying the moments. Even the burnt cookie, closed roads, no power moments. Now that I have mentioned those things I hope they don’t actually happen. Time to get wrapping presents.